thanks to the Coquihalla Highway which connects Hope to Kamloops. 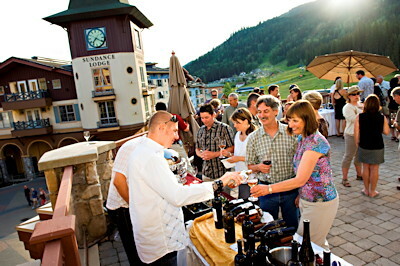 Discover for yourself why 93% of visitors highly recommend the community of Sun Peaks to friends and family. Sun Peaks is known as a winter destination, being BC's 2nd largest ski area and named Canada's 2nd Best Ski Resort by Conde Nast Traveller reader poll in 2008. With three mountains and 3678 acres of skiable terrain, there is something for every ski and board ability. 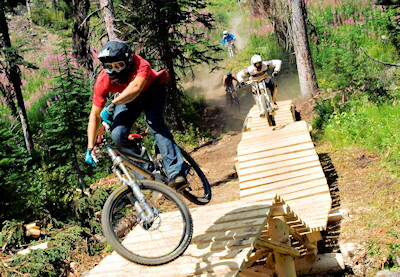 In the summer, Sun Peaks transforms into a beautiful, relaxing resort destination, with dozens of outdoor activities and weekend events and festivals. Park your vehicle at Sun Peaks and take advantage of the convenient pedestrian village layout. In the summer ride your bike or walk to the chairlift, hotels, restaurants and cafés, village shops, the spa and the swimming pool. You can also take advantage of the paved Valley Trail system which winds through the entire resort. This trail is also lit in the evenings for your safety. In the winter, the village is ski through and along with the Valley Trail is designed for easy ski-in, ski-out accommodation access. and weekends she is often available to ski with resort guests during the afternoon for complimentary mountain tours! while in the Winter, the temperature averages between -5 to -15C. 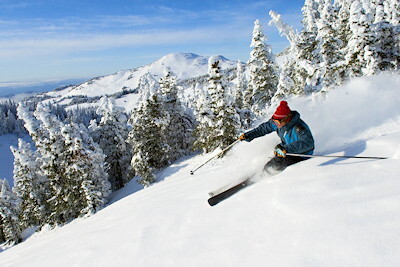 Located inland from the coast, humidity is relatively low and provides for dry conditions in the summer, and light powder in the winter. 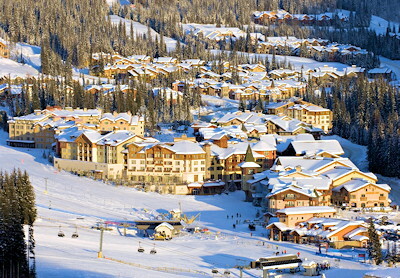 Sun Peaks is located 45 minutes northeast of Kamloops. By car or bus from Kamloops, travel north 25 km on Highway 5 to the Heffley Creek turnoff, and then travel on the Heffley Louis Creek Road until it transitions into the Sun Peaks Road (35 kilometres). The Kamloops Airport connects with both Vancouver and Calgary International Airports and are serviced by Air Canada Jazz and WestJet. From the airport, rental vehicles and shuttle buses are available (make sure to book in advance of your arrival). 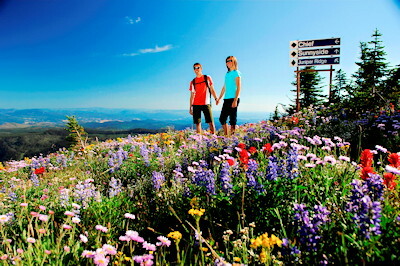 Sun Peaks is a great inclusion on your self-drive tour through of British Columbia. It's an easy, convenient stop on most circle tours throughout the province. Options are plenty ranging from hotels and lodges, to condos, townhomes and chalet rentals. From standard to luxury, there are options for every taste and budget, including an international hostel. The pedestrian village has 7 hotels, including a 4-diamond property as well as 2 lodges offering apartment style suites. Rooms range from standard hotel to kitchenette and multi-room suites. Scattered through the community are 14 townhome complexes with overnight rentals, as well as hundreds of chalets/vacation homes. Sundays Farmers' Market (summer only), Alpine Blossom Season (mid-July to mid-Aug), Olympic Champion Nancy Greene's trophy case located at the Cahilty Lodge alongside her 2010 Olympic Torch on display, OSV ski run - home to the Austrian National Ski Team early season training, BC's highest elevation golf course .